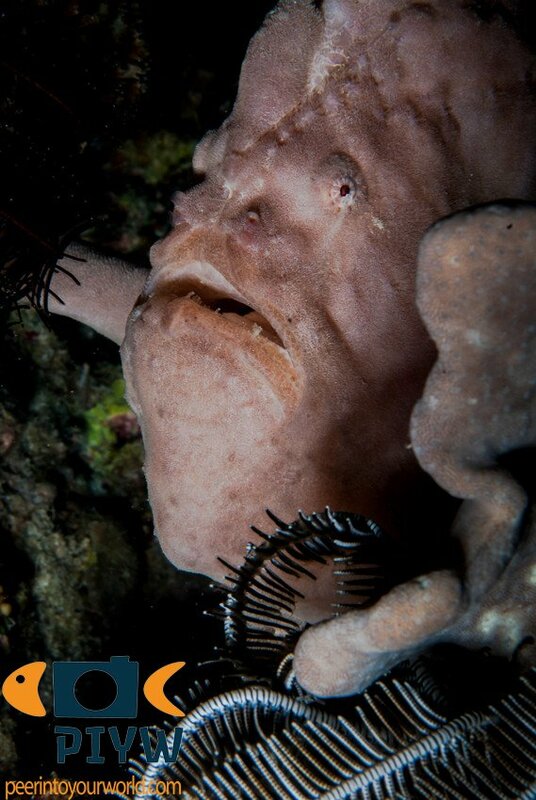 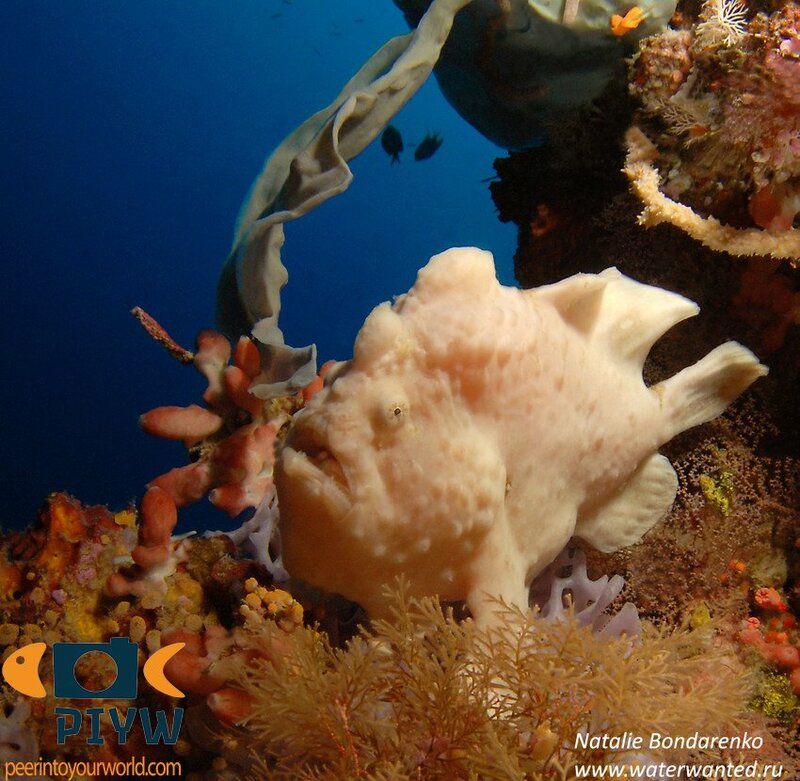 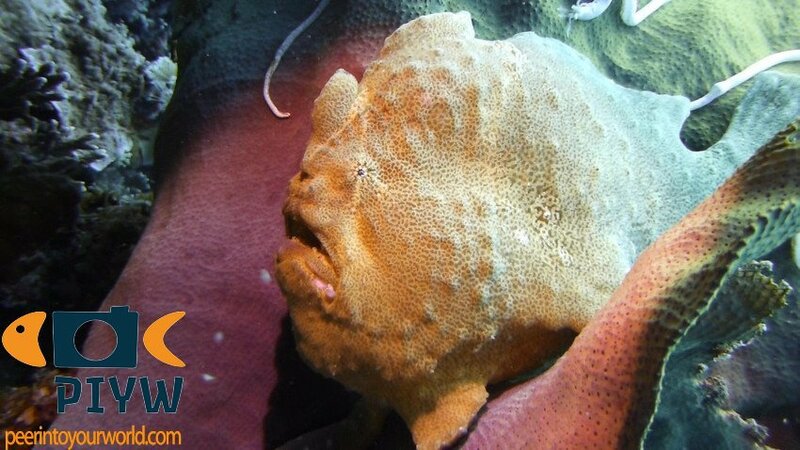 Antennarius commerson is a large frogfish with few warty projections, highly variable in color, often acquiring the color of the surroundings. 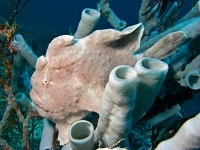 It has a long and thin illicium with a bushy, white lure with long white filaments. 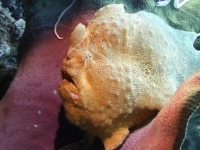 The second and third dorsal spines are thick and bulb-shaped, and they often have a small skin flap on the upper lip. 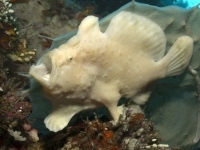 It has been recorderd as yellow, orange, green, brown, gray and black. 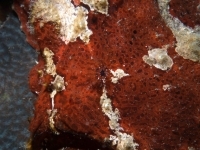 Color change can take several days to weeks. 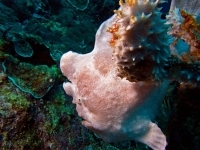 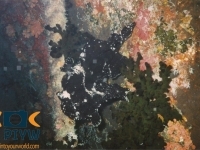 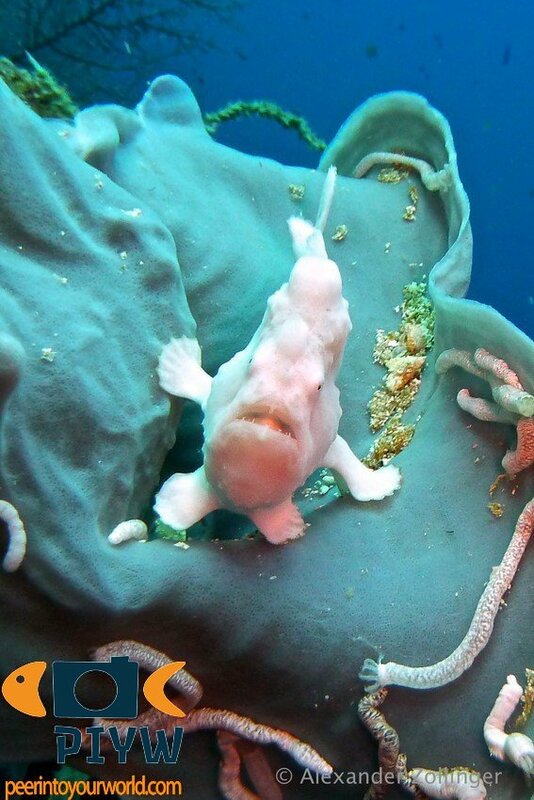 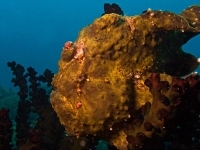 It is the largest of species of frogfish. 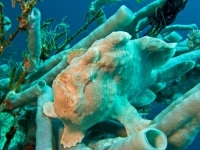 Not yet assessed by the IUCN Red list, but frequently seen in the tropical waters of the Indian Ocean and Indo-Pacific. 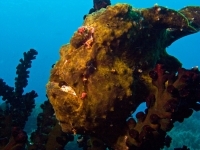 Indo- Pacific. 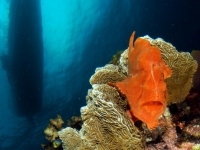 Red Sea and East Africa to Hawaii and Central America, South Japan to Australia. 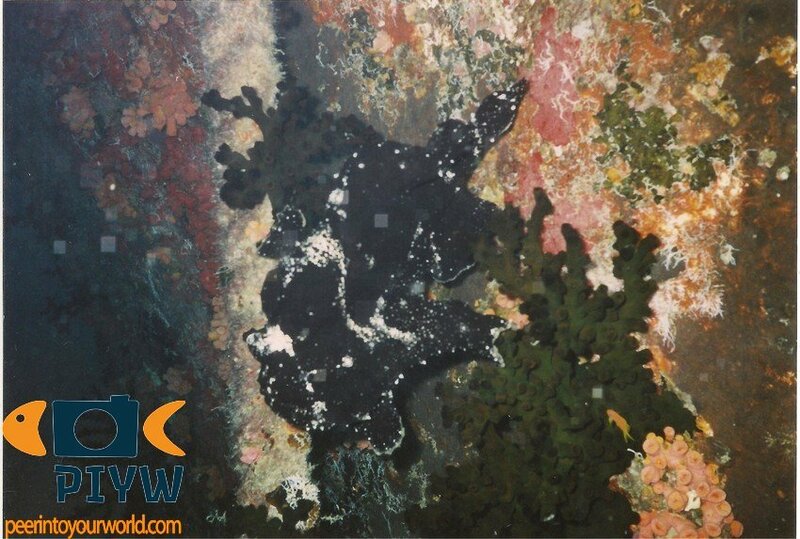 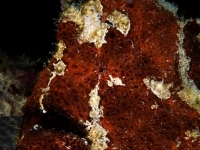 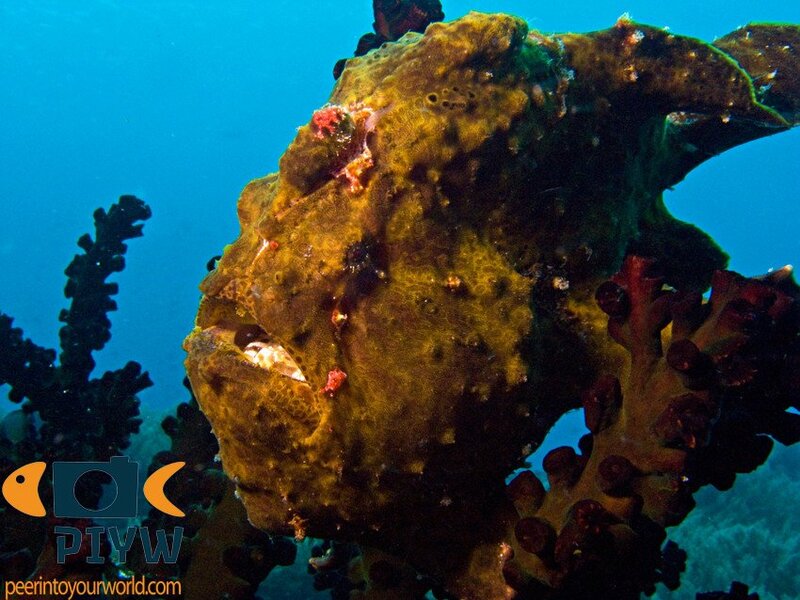 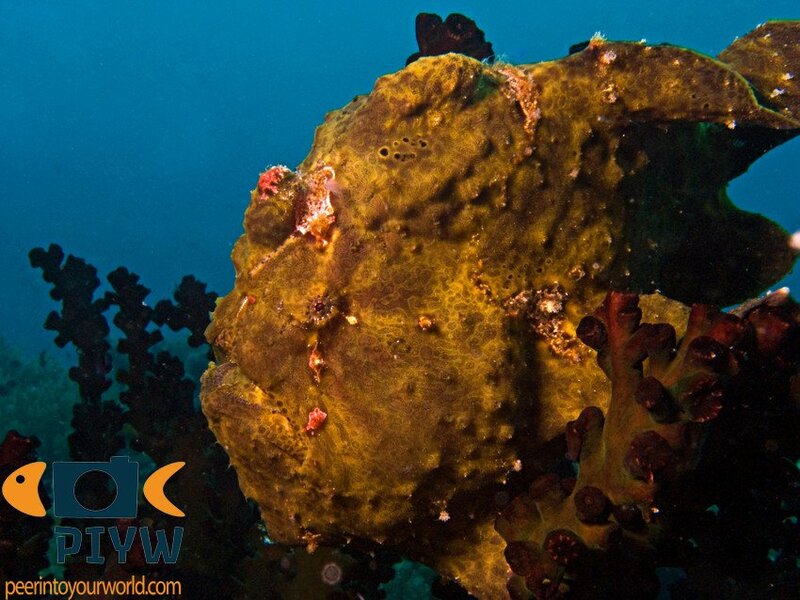 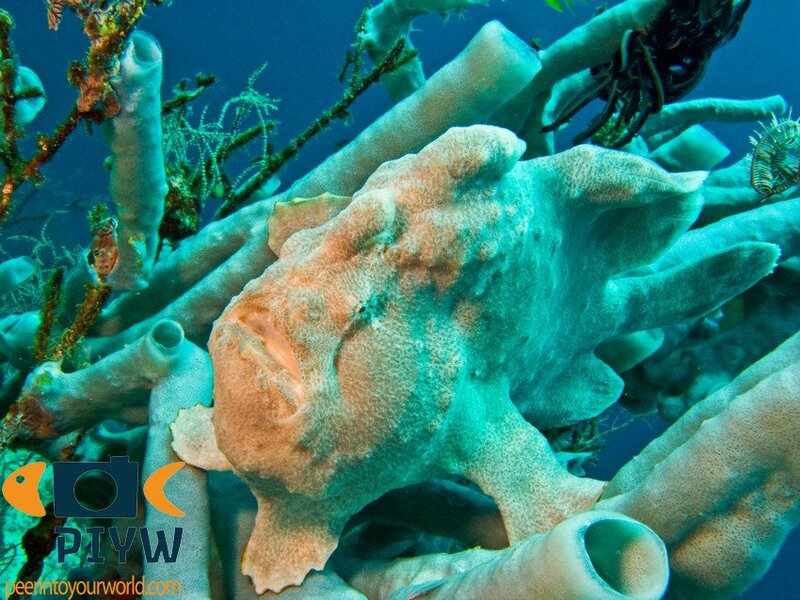 Frogfishes are mostly found on sponges, drop-offs, anchor lines and in outer reefs down to 50 meters. 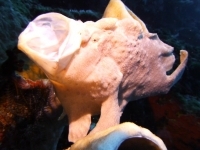 Oviparous breeders. 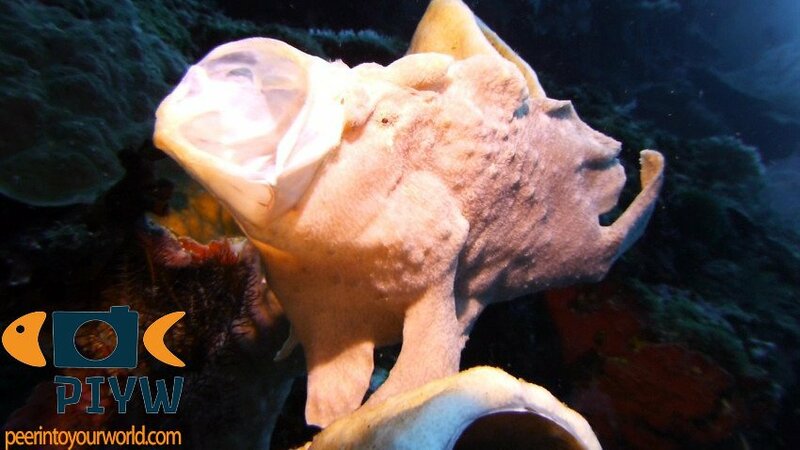 Their eggs are bound in ribbon-like mass of gelatinous mucus called ‘egg raft’ or ‘veil’. 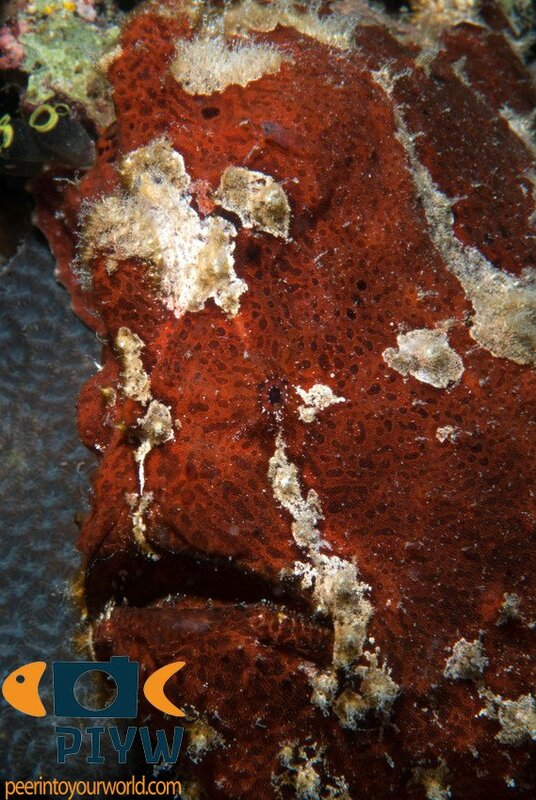 Antennarius commerson feed on smaller fish and crustaceans. 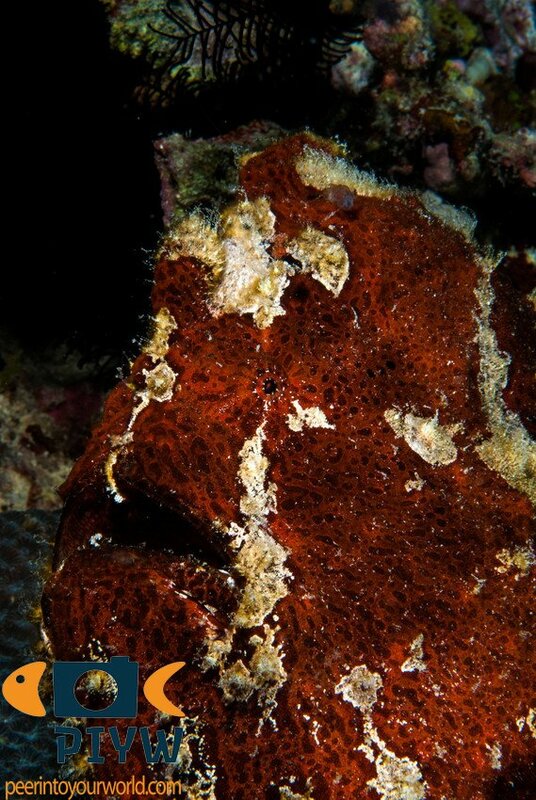 They can adapt their color to the surroundings for better camouflage. 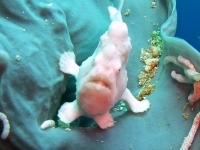 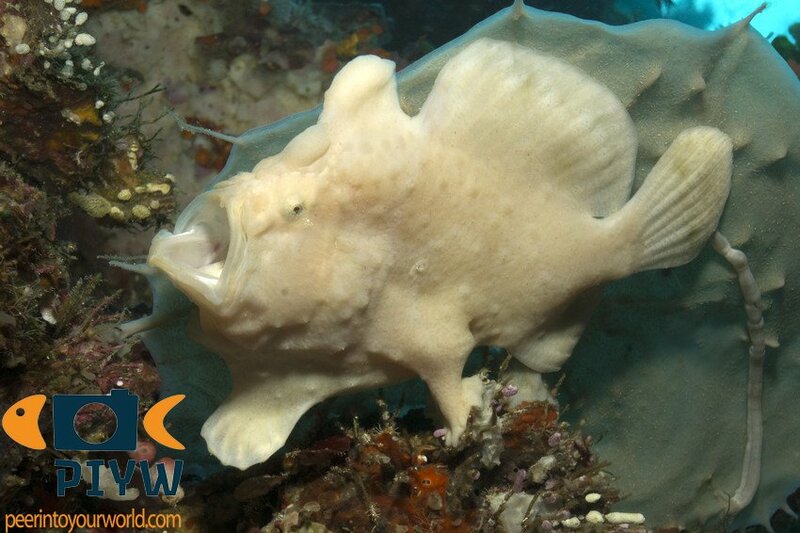 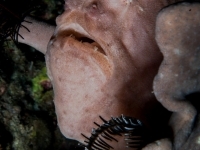 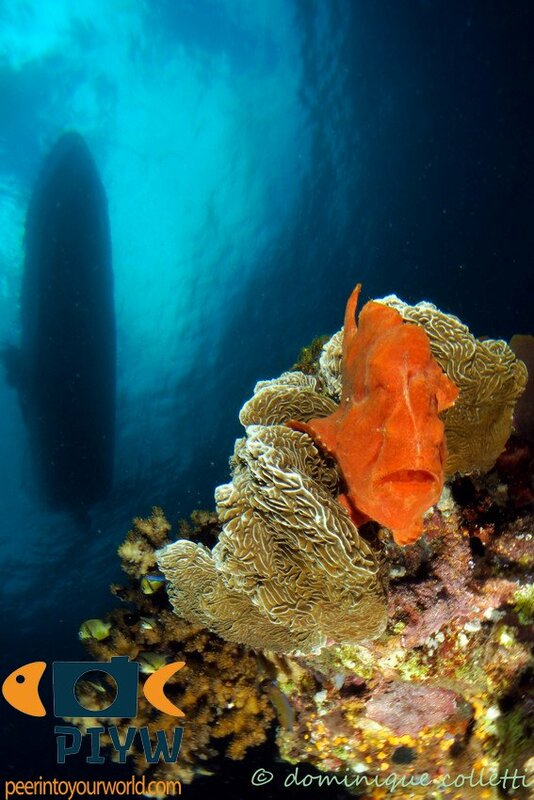 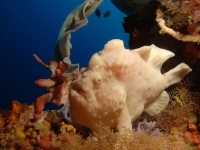 It is also known by its other common name Commerson’s frogfish or anglerfish.